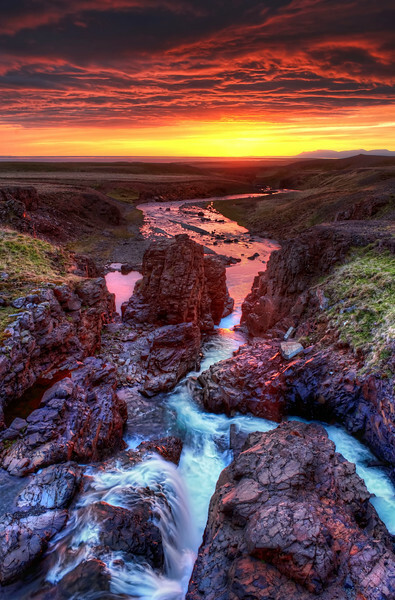 Around the middle of the summer, the sun never goes down in Iceland. I spend the days sleeping in empty schoolhouses and the evenings lost in song and mystery. This was taken around 3 AM when everything seems dreamy and possible. I would hike and explore all night long. About this time each evening, after going ages without seeing a human, after going ages listening to strange ambient music, everything became wonderfully strange. Sometimes I would create things like this, and I was convinced (and still am) that it was not really me.